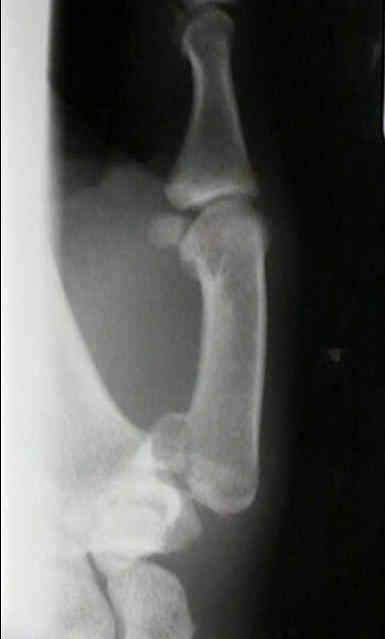 Technique: 3 views of the [x] hand (PA, lateral, and oblique views). 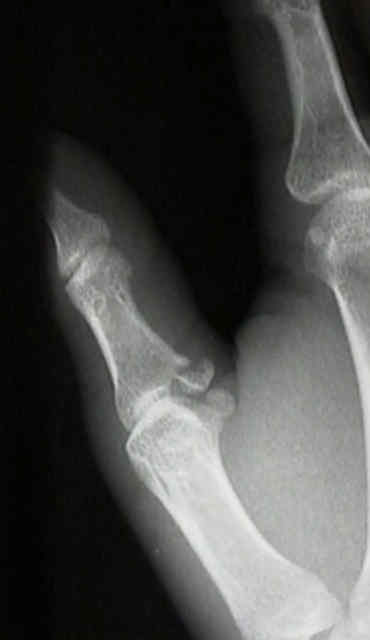 Findings: No fracture or dislocation is identified. 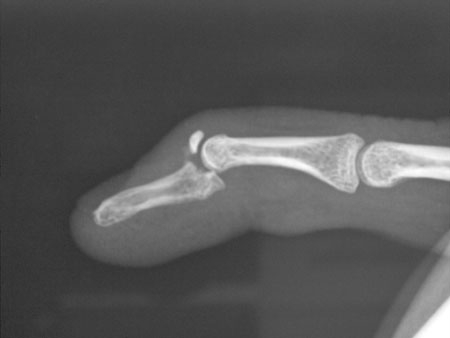 No significant soft tissue swelling is seen. 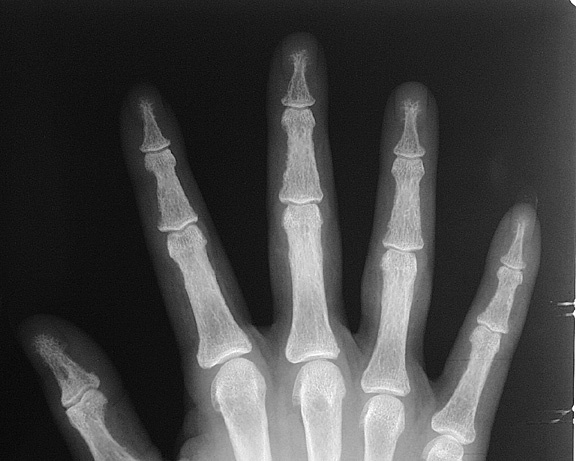 Impression: No osseous or articular abnormalities of the [x] hand.